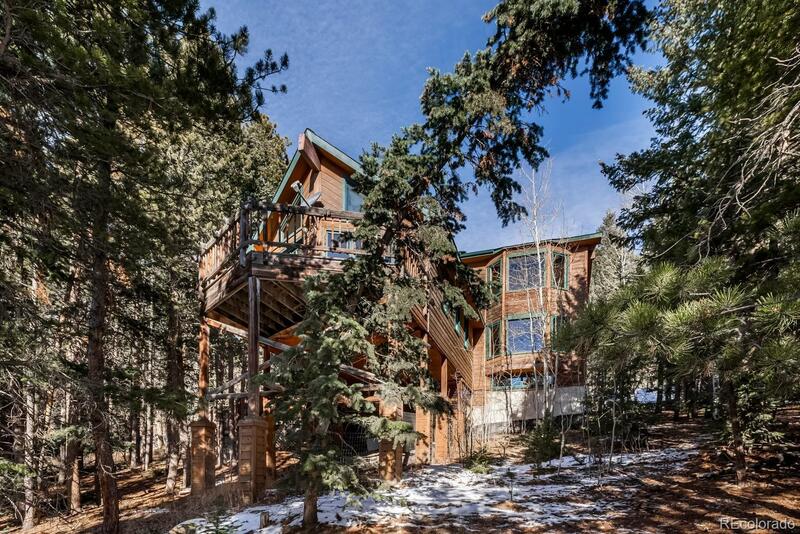 This mountain contemporary home has new hickory laminate flooring, fresh paint and new appliances, including a double oven, dishwasher and refrigerator. The main floor consists of a large kitchen, dining room, great room, guest room (could be used as the master for main floor living), full bathroom and laundry. The master with his and hers closets, large walk-in closet, office, Jack-n-Jill bath and large 3rd bedroom are on the 2nd floor. The 3rd bedroom has a sink and refrigerator for an added bonus! The main floor great room is spacious, with 3 sides of windows, deck access and a cozy pellet stove causing less stress on the boiler for greater heating efficiency. There are custom oak doors, cabinets and panels in every room. Great floor plan with new skylights and interior LED lighting throughout. Step out onto the south facing deck any time of year for a relaxing mountain retreat feeling. There's an attached dog run for your furry friends. This is one to call home!